A big red star always welcomes you at the entrance and you will find the big four stories of beer barrel wall. 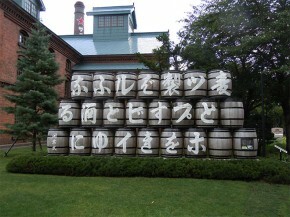 There is something written in Japanese on the barrels. 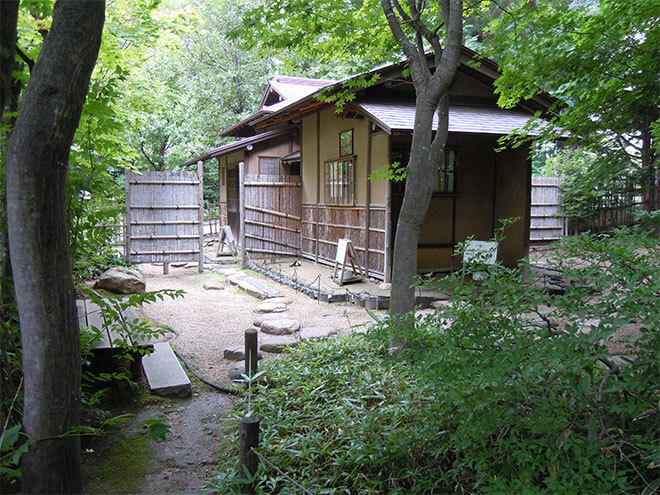 These letters are read for the left-below-ward, “Managing Barley and Hop, it is going to be a drink made from beer.” The barrels’ wall was restored to its original state of the Meiji era. 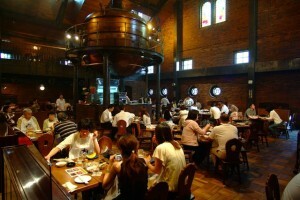 Sapporo Beer Garden and Sapporo Beer Museum are located in the east of Sapporo urban area. This is the biggest beer hall in Sapporo and the museum is next. These letters are the key words of Sapporo Beer. 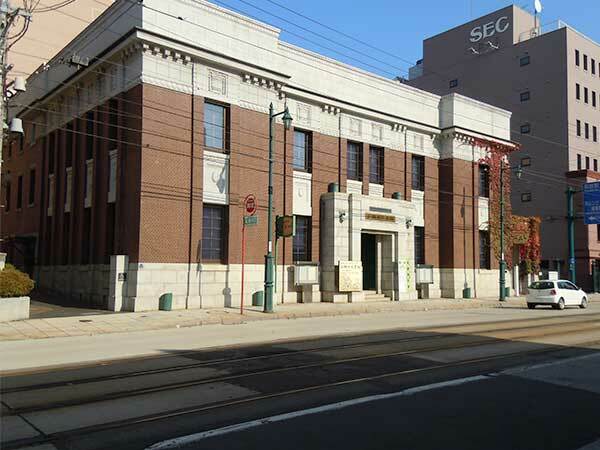 This is the only museum of beer in Japan, the museum opened in 1987 that is the former building of Sapporo fine sugar company built in 1890. 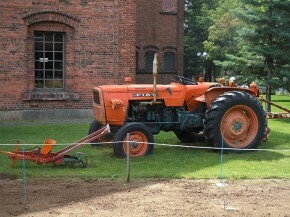 As the red brick museum, Sapporo Beer Museum is designated for a Hokkaido inheritance. The 3 stories red brick building, free admission, when you enter the museum, you are supposed to go to 3rd floor and down for looking inside. Not only for free looking by yourself but also some tours they have. Looking various exhibitions, you can recognize the history of Japanese beer such as old-bottles of the Meiji era, all the posters, advertisings, some small models of the facilities of factory and several equipments for brewery. There are many products in the Dainihon Beer company era, so that you will see some materials for Yebisu Beer and also a big pan called Walt Pan with its weight 13.5 tons. This pan had been used from 1965 to 2003. In addition to the museum shop, they have a bar there. You can taste some beers in charge. This is worth visiting and enjoy Sapporo Beer! There is no English guide tour, but you can look around having a English guide instead. 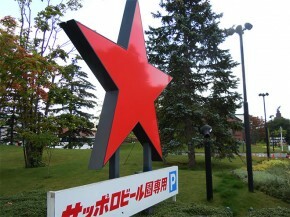 More, if you like shopping, Ario Sapporo is just next to the beer garden. 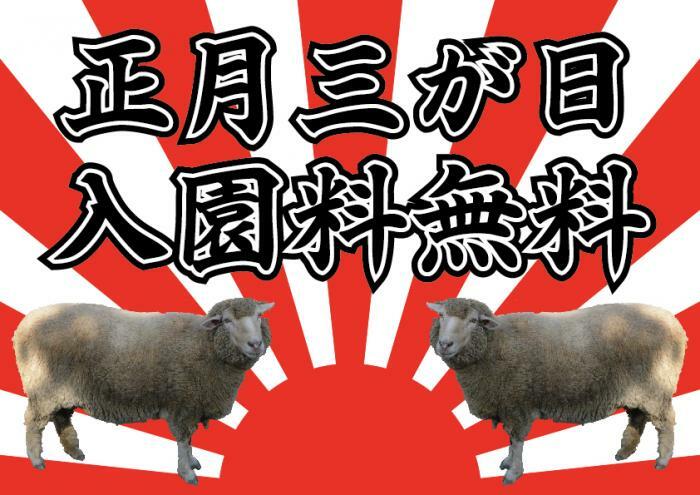 Take the Toho Line to Higashi-kuyakusho Mae（東区役所前）. Exit No.4 and walk 10 min. Weekend & Holiday : every 20 min / Mon – Fri : every 30 min. Go to Sapporo Beer Garden. 7 minutes from the Sapporo Station. see Google Maps Engine *You need to login googlemaps.